* Kauss™—100% polyester. A weather-shedding stretch double weave. The tightly constructed face repels wind and water and the lightly textured back enhances next-to-skin comfort. Tenquille Hoody - Mens is rated 5.0 out of 5 by 2. Rated 5 out of 5 by akalic from Excellent piece for spring/summer I'm really liking the jacket. I was a bit apprehensive as it was a new line with not much user information on it but I still took the plunge. It fits (athletic/slim) like my atom LT and beta LT. I'm 5 foot 11, 175 pounds and the medium fits the build. 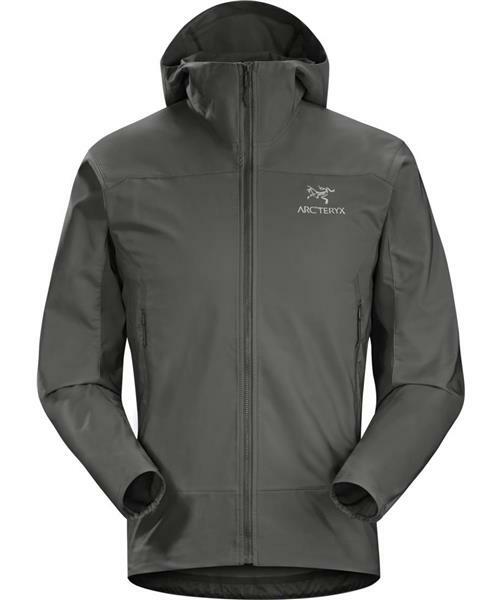 I was concerned that there would be huge overlap with the atom LT in terms of its use throughout spring/fall but after using this for over a week now, I am convinced this is a good wind breaker during spring/summer days. The material feels great and is more affordable to sweating, which makes it ideal for hiking, biking, climbing. the Atom LT on the other hand, does not feel as good when you sweat and is prone to overheating when doing ANY activity (in my opinion, that is just a testament to how insulating the atom LT can be). I got the agathis color and it looks great. I like the feel of this jacket more than my atom LT, it is just more sleek and slick. You will get chilly at nights though if you are just wearing a t-shirt underneath. Overall, I found there was a niche for place jacket in my line-up. Great product. Rated 5 out of 5 by Dylan66 from Perfect Summer Jacket This has turned out to be the perfect jacket for late spring and summer when there's an early morning chill. Using this instead of my Beta SL and adds to my Arc' arsenal very well.